4. What's your favorite thing about where you live? 5. What's your favorite fruit? Veggie? Labels:Grief, Christian, Family, Inspiration Crafts, HOO ARE YOU?? I am following you now. I found you on Hoooo Are You? I read some of your bio, and I'm so sorry about your brother and your health issues. I am an avid seamstress so if you need any help with your sewing, please feel free to ask. Thank you so much Shirley! 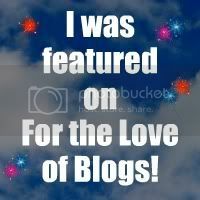 I am following your blog too now! If I have any questions, (which I am POSITIVE I will!!) 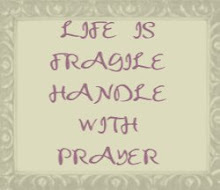 And prayer will always get us through, I see you have found that truth yourself! Congratulations on your recovery, you seem like a phenomenal woman!